Growing Pomegranate tree in pots is not difficult. This popular tree fruit has a shallow root system which allows it to grow in limited space. This tropical tree is very sturdy and it can tolerate cold and heat. 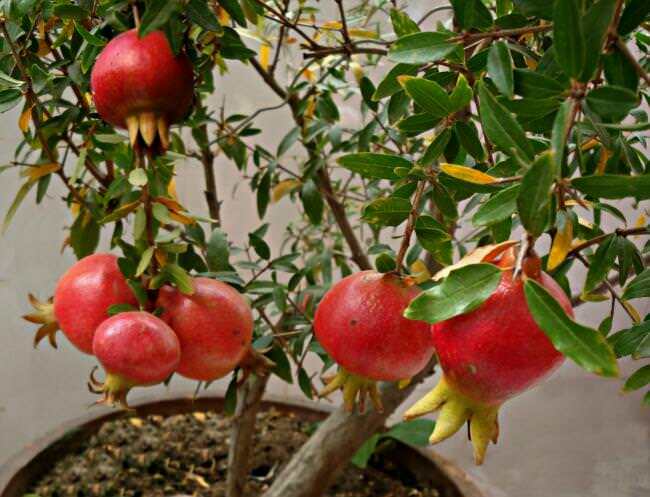 Many gardeners grow pomegranate tree for its delicious healthy fruits and beautiful exotic appearance. 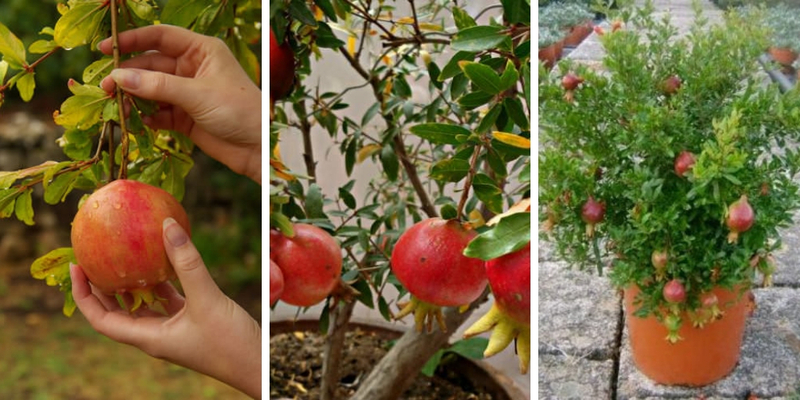 In this article, we will show you how to grow dwarf pomegranate tree in containers. We will provide with a detailed guide that will ensure successful growth and a rewarding yield. Go ahead read on. Nana: This is the most recommended dwarf pomegranate tree to grow for its fruits. This variety is known to be robust and cold hardy. 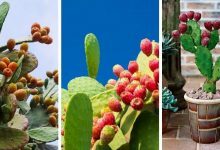 This plant does not exceed 1 meter tall and it produces delicious small fruits. 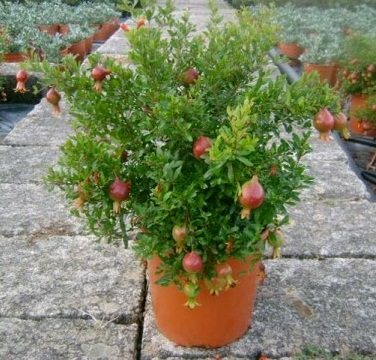 Provence: This variety of dwarf pomegranate trees is extremely sturdy. It can tolerate cold climate and survive temperature degrees below 5 F (-15 C). State fair: This is one of the most manageable pomegranate varieties. This variety usually grows up to 1.5 meters but its size and shape are completely manageable. Flore Pleno: This variety is fruitless but it produces countless beautiful orange-red flowers that make it look gorgeous. 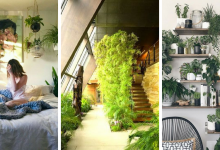 You can grow it indoors as an uncommon houseplant. Madame Legrelle: This ornamental variety is well known and famous. It produces dense double flowers that come in shiny orange to salmon colors with a white border. This variety’s trees look very beautiful and catchy. You propagate pomegranate tree from seeds or from seedlings. The propagation should take place between spring and summer when temperature degrees are about 68 F (20 C). If you are propagating from a seedling, it is recommended that you buy at least 2 years old cutting from your local nursery store. 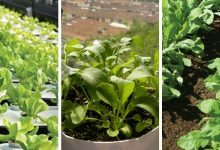 Propagation by Cuttings: You should buy 8 to 10 inch-long cuttings. 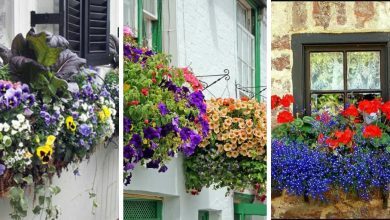 Plant each cutting in a good quality potting mix. The cutting should be placed in a warm humid place where the temperature degrees are above 20 Celsius. 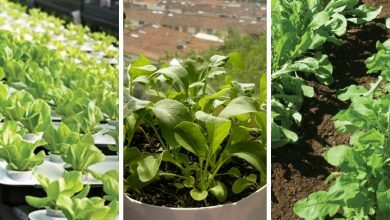 If you live in a hot climate, you can propagate any time in the year but for summer. 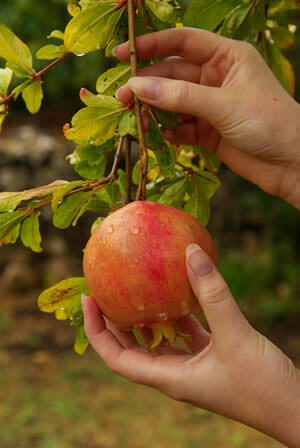 Propagation by Seeds: To propagate pomegranate tree from seeds, you should buy fully ripe seeds. Clean the seeds from dirt and pulp by rubbing them in a towel. Let them dry for a few days before you sow them. The seeds should be planted at least ¼ inches deep. It is also recommended that you wrap the container with a plastic wrap or place it in a greenhouse so it can maintain adequate temperature for the growth of your seeds. The seeds usually take from one to six weeks to germinate depending on their variety and climate. You can sow the seeds in a medium-sized pot. However, as your tree grows, you will need to transplant it into a larger pot. For seedling, it is highly like that you will need a large pot. 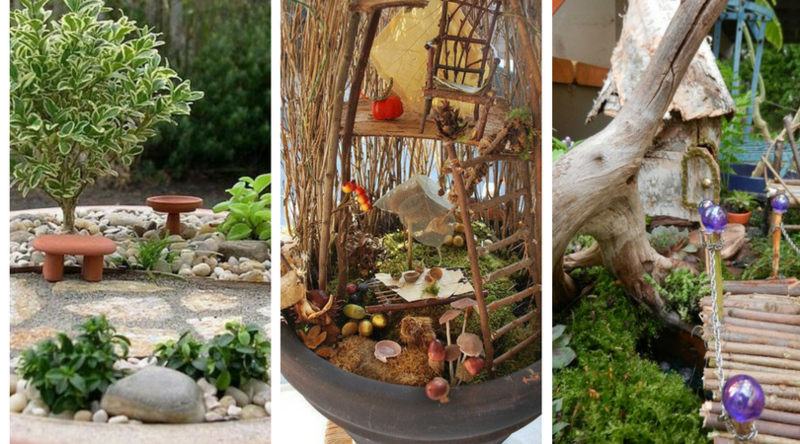 Make sure the ^pot you choose suits the size of your tree and has enough holes to ensure proper drainage. Location: Since these trees are native to Asia, they are tropical plants that require a lot of sunlight and war. Make sure that you place your pot in the sunniest position. 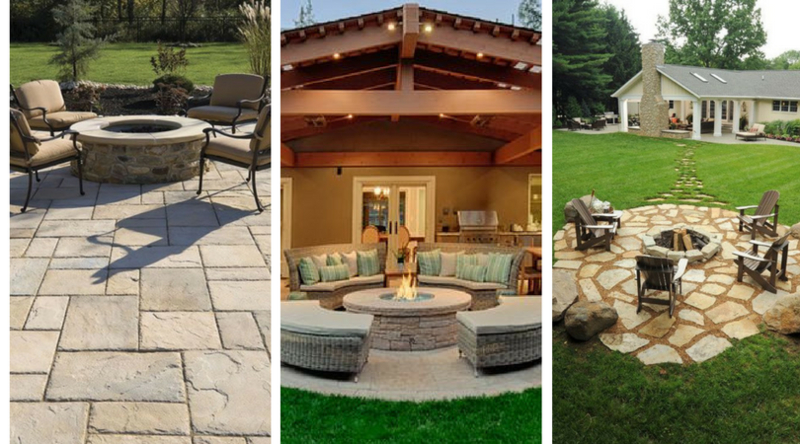 Sunlight exposure is essential for your tree to grow healthy. Although pomegranate grows in a partially shaded location, you should place in a sunny position because the more sun it receives the more fruit it produces. 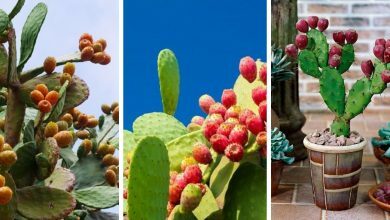 You should avoid using your garden soil because this exotic fruit tree requires loamy, loose, and permeable soil that is rich in nutrients and organic matter. 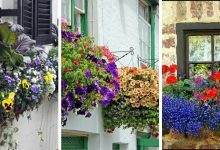 Watering: During the growing season, you should water regularly and deeply. The soil must be kept moist all the time but not waterlogged. Fertilizing: All fruit trees are heavy feeder and pomegranate makes no exception. You should fertilize this tree regularly during the growing season. 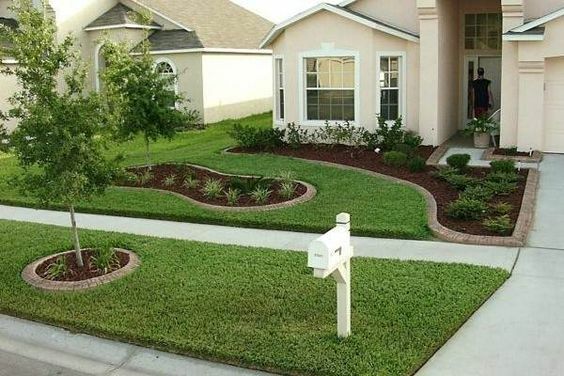 Apply liquid 8-8-8 fertilizer every two-three weeks according to the manufacturer’s instructions. In some cases, your tree will become zinc deficient. You can tell so if the leaves of your plants become yellow. You can cure your plant by spraying diluted zinc solution on foliage. Compost and manure: You should also apply compost and manure. They will help your plant to produce more flowers which in turn means more fruits. Pruning: Pruning is recommended not only because it allows you to take control over your tree’s size and shape but also because it helps your tree produce more flowers and fruits. You should prune your tree between early and mid-spring when the danger of the last frost has passed. Remove all weak, dead and undesirable branches. Repotting: When the roots are bound, that is a sign that you should re-pot your tree. Make sure that you carry out the repotting process when the tree is not bearing any flowers and fruits. To grow pomegranate tree you need to overwinter it. Although this tree is cold hardy, it does not tolerate frost and extreme low-temperature degrees. When the temperature degrees are below freezing, the tree will likely shed it leaves and go dormant. There are some varieties that tolerate freezing temperature degrees though. 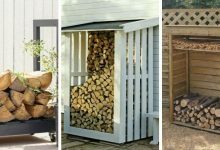 When it is too cold outside, make sure to place your tree in a warm place such as a greenhouse, a garage or a basement. The temperature degrees should not fall below 37 F (3 C) otherwise your tree will stop growing. If you don’t want your tree to go dormant and shed its leaves, you should expose it to at least 4 hours of sunlight and place it in a location where the minimum temperature degrees are at least 7 C (45 F). To grow pomegranate tree, you should learn how to protect it from pests and diseases. 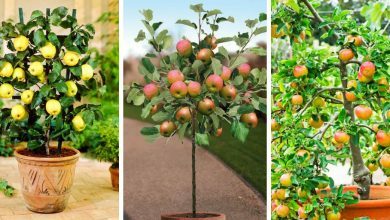 As you know, this tree is sturdy and tough, yet it is still prone to many pests such as fruit flies, whiteflies and pomegranate butterflies. For diseases, the most common disease is fruit crack. It is caused by a lack of moisture. Keep your soil always moist and you will manage to avoid this disease. If you are growing pomegranate tree from seeds, your tree will take at least 2 to 3 years to start producing fruits. You can start picking the fruits six months after the appearance of flowers. Simply cut the fruit with your hands or using a scissor or a sharp knife. 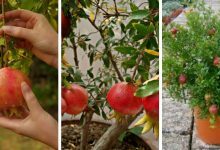 This is the best guide to grow pomegranate tree. 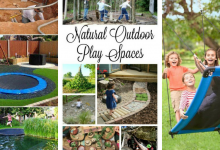 This guide is provided by experienced gardeners. It will guarantee you a successful growth.